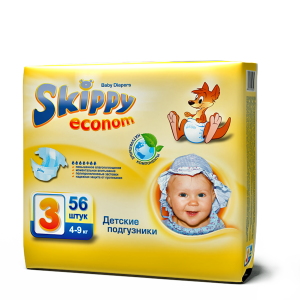 They are 10% cheaper than “Skippy More Happiness” and even cheaper when compared to other entry level lines of branded diapers. 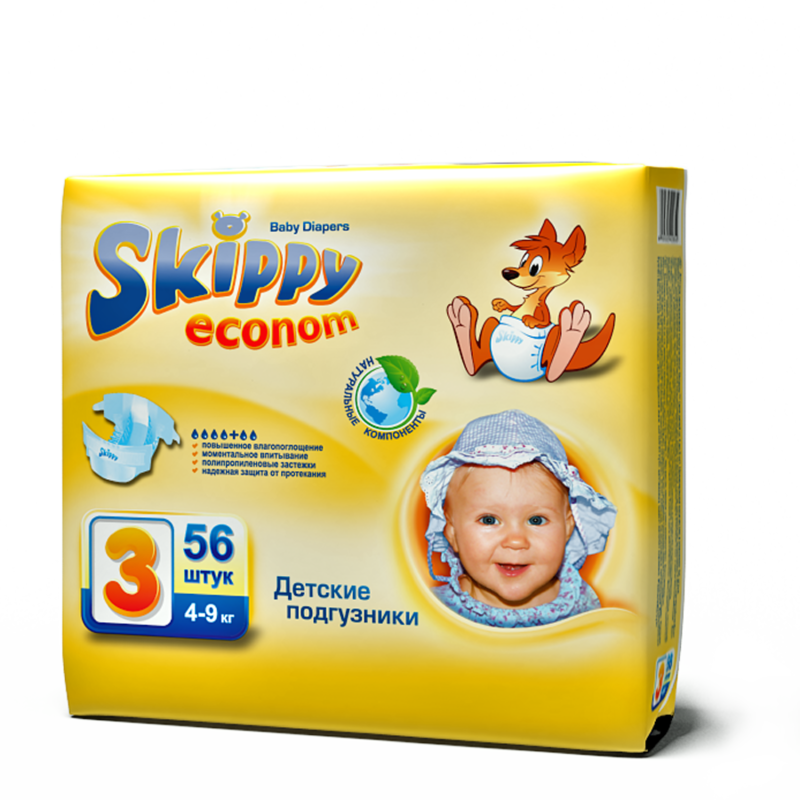 Snug fit. 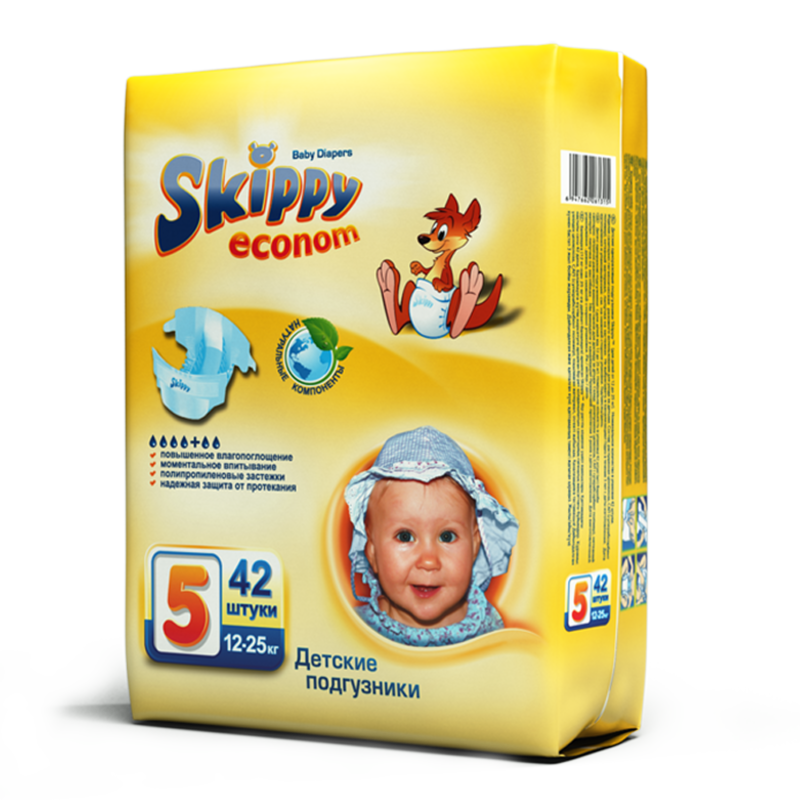 We have introduced a polypropylene waistband and polypropylene sticking tapes, which can be fastened and unfastened time and time again. 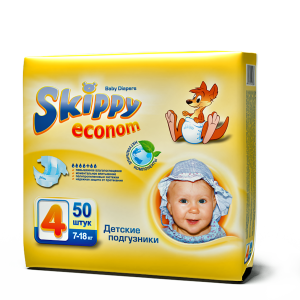 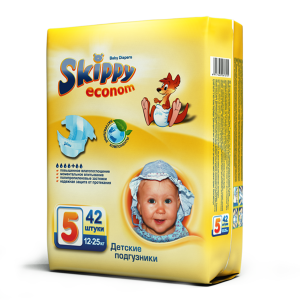 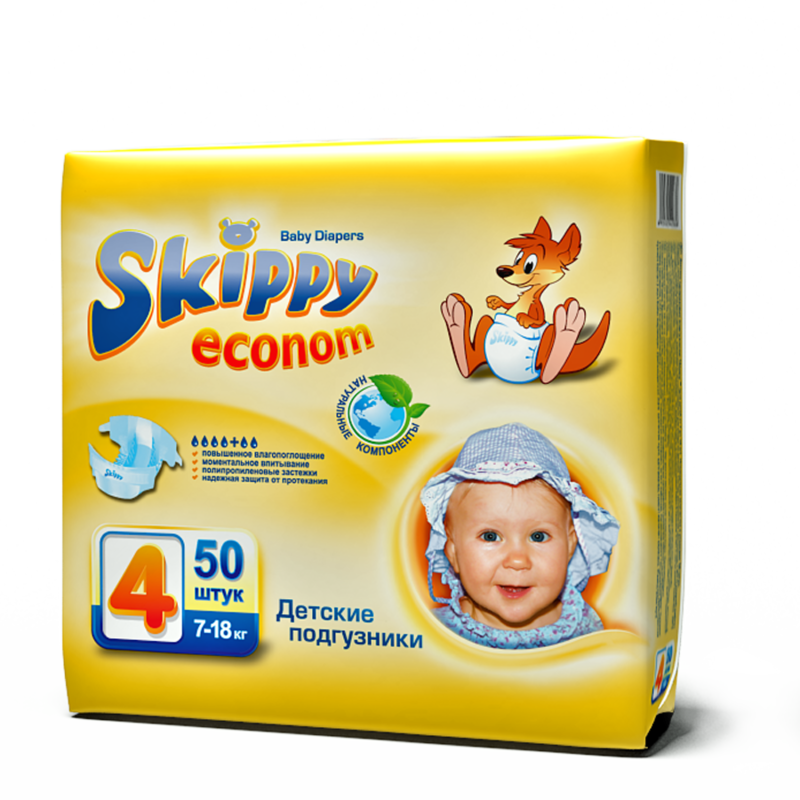 Reasonable price—the adequate quantity of diapers in a pack, along with the low price, allow parents to make the most reasonable economic decisions and keep the family budget in mind when buying Skippy Econom.